Welcome to Realms Radio! 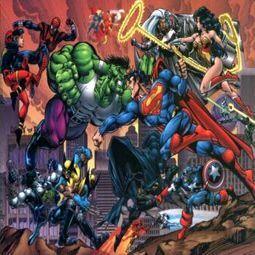 Welcome to Battle of the Century, a podcast all about whats new in comics! Join Billy Zonos and a new guest star every week as they discuss this weeks happenings in the world of comics! This week we talk about Captain America #23, Angel #1 and Walking Dead #44. We both have some quick hits from the past couple of weeks, we share your Top 5 Batman stories and go over some of the week's comic news. World War Hulk 3, Captain America 30, JLA Wedding Spec, etc.